If you’ve never had a migraine, it might be difficult for one to describe… as everyone experiences things differently. But, could what you’re eating be causing them? For me – I have no doubt in my mind gluten and celiac disease was a main source of my migraines. I didn’t have them consistently when I wasn’t pregnant – but often in the summer. I had major light sensitivity, and as I’ve mentioned before – chronic sinus infections, which often led to migraines – and stress. The only thing that works for me to “cure” a migraine is a quiet, dark room – and TIME to sleep. They always seemed to hit when something important was going on… another trigger with gluten intolerance and celiac disease = stress induced. Sure can make it difficult to look forward to things MOST people get amped up for, when you have a sense of dread lurking! and then… it continued after I had that child. The sinus infections… the headaches… they would come and go on a monthly basis. We travelled to Ohio that spring, for our annual family vacation. I had no idea that the valley we stayed in was known for the “worst allergy spot” in the country… until after our experience. There had been a lot of rain, and rain always triggers my allergies… add in the chronic sinusitis, and WHAMO! Every day of that vacation it would come on … after breakfast about 10am…. I thought it was the sun, or the moisture, fatigue?… (OR how about the gluten filled PANCAKE breakfast?) By the time the sun went down… and evening set in – about 11pm, I would begin to feel better… until the next day. Each day got progressively worse, and I tried to fake it so the kids could have fun… but I was truly miserable. I began having this stroke type of feeling, but only on my left side of my face. I was taking 600 mg of Motrin, and nothing was touching this pain. At one point, in a parking lot I had to have my son guide me – pushing a stroller to our car – because I had lost my vision – my migraine was so severe. It was very concerning. I tried to shake it off and function. “I’m just tired…” I thought. But, I knew something more was going on, and truthfully – I was REALLY concerned. Denial is a beautiful thing. The MRI showed what the Dr. suspected – severe sinusitis, which was causing swelling on my trigeminal nerve. That nerve – by your ear, controls the receptors in 5 points different points on one side of your face. Mine was the left trigeminal nerve. So you can see how inflammation on it, can make you have headaches, bother your vision, and affect your jaw as well. About that time, we discovered I was now 5 weeks pregnant with our 8th child… so the surgery they were wanting me to have… was out of the question. Ironically… if I would have been told, “You have gluten sensitivity or celiac disease” – years ago, I wouldn’t have progressed that far with my migraines, and chronic sinus issues, and I obviously am FINE without that terrible surgery, which only further masks the source of the problem! Thank you Lord, for protecting me from that. Now migraines can obviously have various triggers. (I have friends who also have to stay far away from MSG, and aspartame – which is a good thing to stay away from anyway. But it’s similar to gluten – you have to really be diligent in reading labels, and knowing what key words you’re looking for.) If you suspect MSG is a possible source for your headaches, this is some good information. It all comes down to the more natural the food source – the BETTER for your body. KNOW what you’re putting in. MANY of our health issues are self-induced, and then we mask them with drugs in this nation, in the name of short-term “feeling well.” We need to be as educated as possible to heal our bodies inside OUT! Each step in that RIGHT direction, is a taking us closer to being healthy for Him! 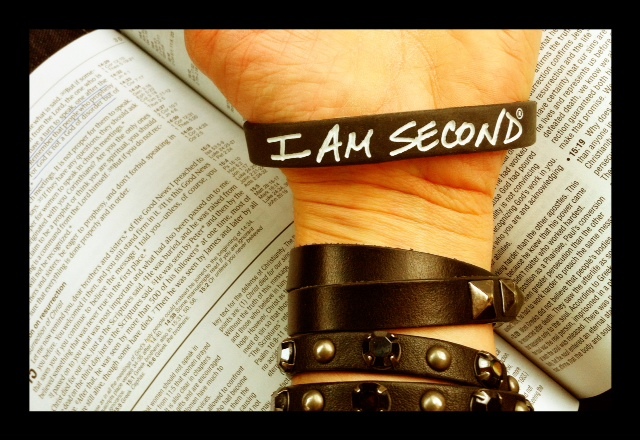 Posted on August 15, 2012, in Celiac/Gluten Sensitivity, Change, Diet, Our Struggles and tagged celiac disease, gluten intolerance, healthy for him, i am second, iamsecond, migraines, MSG, Sinus surgery. Bookmark the permalink. 2 Comments. I’m so glad to find your blog. I just started one a few weeks ago because I had a burden to share my experiences with migraines and the bits of knowledge and recipes I’ve learned along the way. I’ll be studying your website. God Bless! Thanks for your note and for visiting! I’ll check yours out as well! May God bless your journey towards feeling healthy for Him!